Hannah is a London-born blogger with a love for travelling. 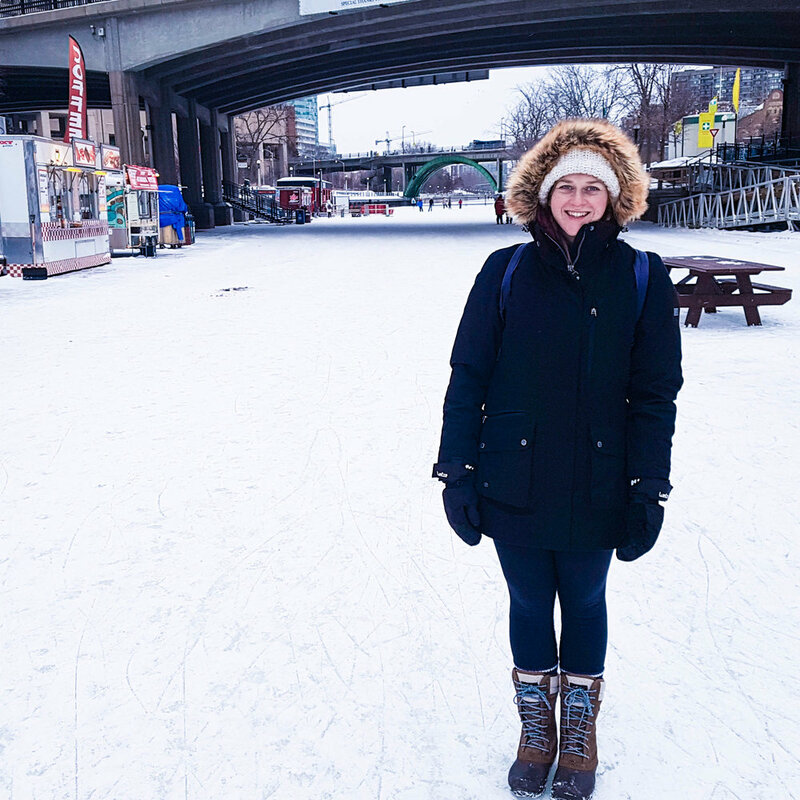 After studying French at university, she spent three weeks in Montreal and discovered her love for Canada. Hannah now resides with her partner, Thom in Vancouver, BC. When Hannah’s not busy tapping away at her keyboard, she’s hard at work running her dog walking company. Without further ado, let’s allow Hannah to tell you more about herself. I moved with my partner, Thom who's also from the UK. One of the things we talked about when we first met each other was whether we'd live in another country. We both said we'd love to trying living in Canada and so several years later we decided to go for it! When did you arrive here and through which program? Our Canadian adventure started at the very end of January 2017. We came on a Working Holiday Visa as we wanted to travel to start and this visa doesn't require you to have a job but does allow you to get one. We understand you are working toward becoming a Permanent Resident. What has this process been like? We are! So far the process is going well but there's a lot more information you have to gather for this one compared to the Working Holiday Visa. We've had to detail everywhere we've travelled in the past 10 years, which is quite a lot since it's one of our hobbies and I'm a travel blogger! Another surprise was that we had to get our degrees 'translated' into the Canadian equivalent (turns out my Bachelor was a Bachelor) and take an English test. I'm pleased to say we passed the English test with full marks! We spent the first month travelling a bit on the east coast. We were pretty sure that we'd settle in Vancouver but thought we'd give Toronto a try too so we were there for a few weeks. During the first week we had to get our SIN numbers, open bank accounts, get mobile plans sorted and switch over our driving licenses. There's a lot of admin at the start and even though it's in the same language, it can be pretty frustrating! But you only have to do it once! How did you get settled? After the first month on the east coast where we visited Toronto, Montreal and Quebec City, we headed in to America and spent the next three months travelling. We'd bought and converted a camper van in Toronto, which was our home for the next 3 months. When we arrived in Vancouver (my first visit there, but my boyfriend's second), I knew this was where I wanted to be. I was totally won over by the mountains and the ocean everywhere you looked. Since we'd already done most of the admin in Toronto, we just had to change our driving license again and change our phone plans then find somewhere to live. I think we got lucky with that last part as some people say it's impossible to find a place in Vancouver! I live in Vancouver. One of the main reasons for our move to Canada was to have a more outdoors lifestyle. Vancouver is perfect for that since you're super close to the mountains, the ocean, and forests. In the winter we can be up on the slopes 30 minutes after finishing work, we can walk to the beach and go kayaking or spend the weekend in the mountains without having to drive far at all. It's perfect if you love the outdoors! It's got to be the potential for outdoors adventures. It's just not so easy in the UK, especially if you live in a city. If we travelled for 30 minutes by car in London we'd still be in London. In Vancouver we can be in the local ski resort. 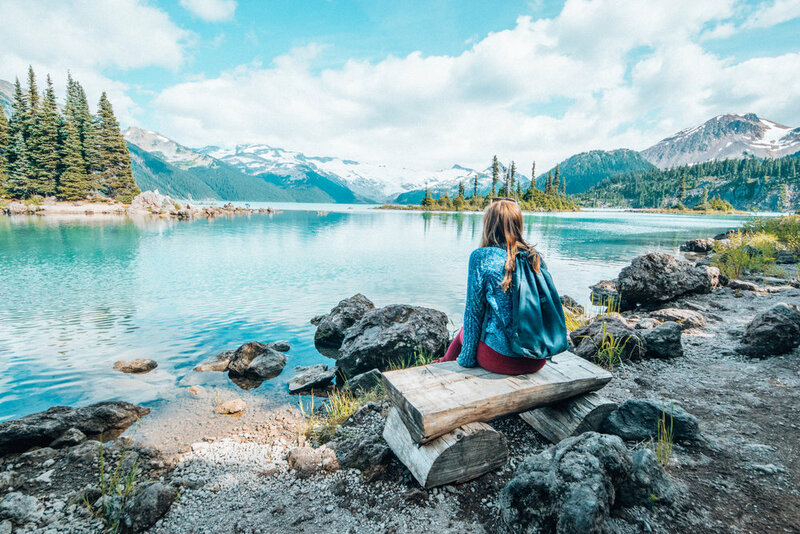 Hannah at Garibaldi Lake in Vancouver, B.C. There's some great food here, that's for sure! Whatever you want you can find it. Vancouver has hundreds or sushi places, ramen restaurants and some very tasty Korean BBQs too. Where can our readers follow your journey (please link any social media platforms you'd like us to share)? You can read about what I get up to on the West Coast at www.thatadventurer.co.uk or follow my on Facebook and Instagram.